RACINE, Wis., – Summer is quickly approaching, which means families will be spending more time outdoors, whether at a Memorial Day parade with friends, a family softball game or backyard party with neighbors. As mosquitoes become more active, it is important to take proper precautions to avoid mosquito bites when spending time outside. With a 60-year legacy of insect science research, the insect experts at the SC Johnson Institute of Insect Science for Family Health offer useful tips to help you protect your family while outdoors. Remove standing water. Mosquitoes breed in standing water, so removing it from your property can reduce their numbers. Rain gutters, buckets, bird baths or fountains with stagnant water are all possible breeding sites. Plan activities around peak mosquito hours. Although mosquitoes can bite any time of the day, they are most active at dawn and dusk. If possible, schedule your outdoor activities to avoid these times. Make sure you have personal repellent on hand to protect yourself, family and friends from mosquitoes. Apply a pest pre-treatment to your yard. A pre-treatment product works to protect your yard from mosquitoes and other insects. Always read product directions prior to application. Apply personal repellent. Applying a personal pest repellent correctly can help protect you from mosquito bites. Before using a personal repellent, always read the product label and follow directions. Personal repellents come in many forms, including lotions, aerosol sprays and wipes, and can contain active ingredients such as DEET or Picaridin. Personal repellents should be used on exposed skin and clothing to prevent mosquitoes from biting. Some repellents should not be used with certain fabrics such as rayon, spandex, acetate or other synthetic fabrics, so it’s important to always read the product label before applying to clothing. Wear appropriate clothing. Clothing can help reduce mosquito bites, by acting as a barrier between your skin and the mosquito. When weather permits, wear long sleeves, long pants and socks when outdoors. Consider wearing light-colored clothing as mosquitoes are more attracted to dark-colored clothing. Have spatial repellents on hand to keep mosquitoes away. Area or spatial repellents are used to reduce encounters between humans and mosquitoes in a broad area, including outdoor seating or around the yard. There are many different kinds of area repellents, so read the individual label carefully before selecting a product that’s right for your family and before using. For decades, SC Johnson has led many educational campaigns to increase awareness of best practices to help protect families from insect-borne diseases such as malaria, West Nile, Zika, dengue, yellow fever and Chikungunya. SC Johnson is also known for its philanthropic actions such as donating tens of millions of company products including OFF!®, Raid®, Baygon® and Autan® around the world to help those who cannot afford personal and spatial repellents as well as insecticides. In 2016, SC Johnson pledged $15 million in resources globally to help protect against mosquitoes that may carry Zika. To date, more than $12 million of OFF!® products and financial donations have been provided to organizations around the world, especially those in regions with high risk of Zika virus and dengue fever outbreaks. 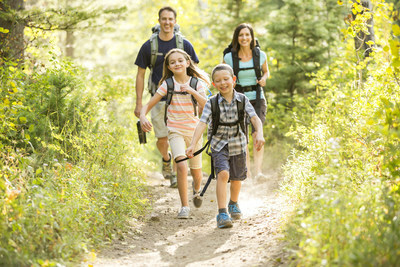 SC Johnson offers educational resources, tips and video on how families can protect themselves from mosquito bites at www.scjohnson.com/mosquitoes. The site is available in 13 languages and videos on the site have been viewed nearly 25 million times. The SC Johnson Institute of Insect Science for Family Health – previously known as the SC Johnson Entomology Research Center – was established in 1957. Its main location in Racine, Wisconsin, is one of the world’s largest private, urban entomology research centers. In 2013, SC Johnson expanded its research operations globally, opening the first of its kind research facility in China. Company researchers study and advance the sciences of insect biology, physiology, ecology, behavior and toxicology. The Institute also tests pest control formulations and delivery systems to help families protect themselves from insects and the diseases they may carry. Insights from the Institute help SC Johnson in the development of its OFF!®, Raid®, Baygon®, Autan®, AllOut® and other consumer pest control brands that have been trusted by families for generations.